Breath of Bliss breathwork offerings are not a substitute for medical or psychological diagnosis or treatment. 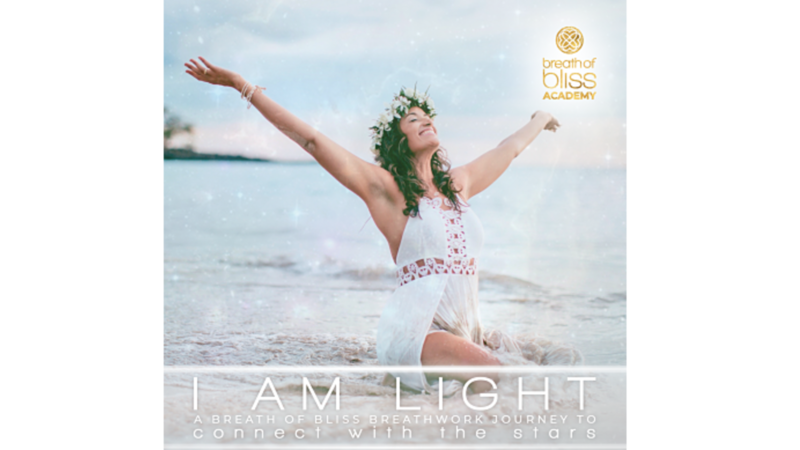 The I AM LIGHT audio is not intended to treat medical or psychological conditions. This program is a tool for spiritual and personal growth. Any healing subsequent to using this audio is a result of my own self-healing. Do not use while operating a motorized vehicle or heavy machinery. *Please note: iPhone users, you can only download to a laptop or desktop computer, not your iPhone. Once the files are on your computer, you can sync with your phone. iPhones now have a download restriction we can’t bypass. Thanks for understanding. A 5 minute introduction to the Breath of Bliss practice and the theme - I AM LIGHT. An 65 minute guided breathing journey to support you every step of the way. Featuring transformational music by Elijah and the Band of Light.